The new sitcom by big sportsman Blake Griffin, curiously named Broad City—perhaps in reference to his wide shoulders—debuted this week, and boy is this stuff woke. Even more curiously, the show opens with two anonymous pooping women plotting to rent out their apartments for extra cash. 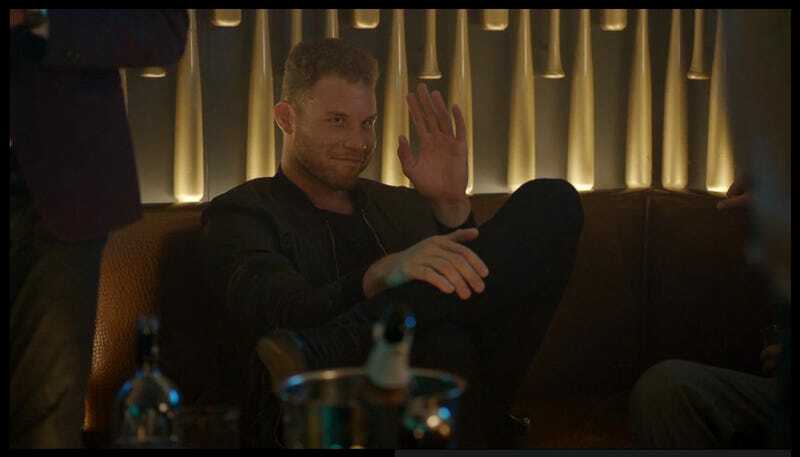 In fact, the Los Angeles Clippers power forward does not appear until about halfway through the 22-minute episode, when one of the poopers bumps into him in a swanky New York City nightclub-type setting. Griffin most recently made headlines for his four-game suspension after some very silly behavior, so his new show is mostly an exercise in reputation management. Witness his true awokening: you’ll see him vindicating gingers, singing the praises of women’s basketball, giving out free sneakers, and being a sensitive and understanding lover. So woke a bae is he, you might even forget the 6'10" star slugged his 5'6" equipment manager so hard that Griffin broke his right hand. As anyone who has seen him hurdling Kias or peddling State Farm Insurance can attest, Griffin boasts keen comedic instincts and impeccable deadpan delivery, which were in evidence even before he entered the league. So it comes as no surprise that he has been offered this Comedy Central star vehicle, though it is a surprise that the pilot episode dedicates so much screen time to two minor characters, Arby and Liliana. Here he is suggesting some dynamic stretching before a romantic encounter bound for dysfunction, which he handles with grace. Here he is cradling Liliana and preparing to dunk her into a nearby armchair. The two celebrate his tender dunking with some freshly brewed tea. While eating pizza in bed, Griffin really hits his stride. “I wish there were a basketball league for women, so I could play,” muses Liliana. To which one of the league’s most versatile big men replies: “Well, there is. The WNBA ... I literally steal moves from them all the time ... some of the moves they do, I can’t even think of in my head.” Dang, this bae is unrelentingly woke. He openly credits women with the skills that have earned him four All-NBA selections. Finally we have a truly forward-thinking elite athlete, comfortable in his masculinity. That’s his last line. Wow. I’m done. Game over. An emphatic finish at the rim. Here’s to a glorious season of wokeness ahead, sure to dispel any lingering memories of him crudely shoving a trainer’s head into his crotch on national television.